Compared to movies, video games, and virtual reality, paper books can seem old-fashioned. While ebooks and audiobooks are a bit more technologically advanced, they’re still not flashy. But when it comes to CPA self-study materials, do you need them to be high-tech, or are there advantages to sticking with the tried and true method of learning from literature? Whether digital or print, books are an essential tool for passing the CPA Exam. We’ll explore the pros of both and look at some purchasing options. Everyone knows how to use books.Can you even remember learning how to use a book? We sure can’t! Books have been around for thousands of years, and even in the digital age, they’re still everywhere. Instant accessAs soon as you have access to your online course (which is usually immediate thanks to email), you have access to your digital book as well. Simple storageDigital books only take up as much space as the laptop, phone, or tablet on which they are installed. PortabilityOnce you’ve downloaded a digital book, it goes wherever your device goes. SearchabilityYou can instantly search for key terms. VisibilityYou can read in places with little or no light and reduce eyestrain by increasing font size. Minimal expensesOpting to receive a digital book spares you the cost of shipping. Instant updatesReview providers can update digital books with the latest exam changes in a matter of days, not weeks, and candidates can download the new versions instantly. Convenient, reliable reviewPhysical books let you study anytime, anywhere, regardless of internet connection. Endless operating powerPhysical books aren’t dependent on batteries that could die in the middle of your study session. Visible detailsBy putting tables, charts, and graphs on big, printed pages, physical books help you see the specifics better than small-screen devices. Software-freeA physical book will never suffer from a software crash, hack, or bug that could interrupt your studies. TangibilityOther than your CPA certificate, your review book is the only lasting souvenir of your exam journey. Fewer distractionsYou can’t access social media, play a game, watch a movie, or get a text on a book. Separating yourself from distractions can make it easier to get quality studying done. Interactive learningUnlike digital books, physical books allow you to underline or highlight important sections, circle key terms, write notes in the margins, quickly flip through sections, and use sticky notes to flag important pages. Faster comprehension and retentionSome studies show that physical books promote better reading habits by demonstrating that people tend to take shortcuts when reading from a screen.Additional studies confirmed that the opportunity for interactive learning afforded by physical books helps you understand and retain information faster than you would using digital books. These studies worked with school-aged children and demonstrated that physical books enhance the education of younger generations like Millennials as well as older generations like Generation X. Most CPA review providers offer both physical and digital books. For physical books, different providers offer different buying options. Some providers include the cost of the book(s) in the total price of the course and may or may not charge for shipping. Others offer a digital book as the standard and charge extra for a physical copy. To find the right course for you, decide which medium suits you best and then find a package that includes it. You want exam prep that includes everything you need to pass and offers the most value at your price point. If you intend to buy just the books, you should know that a few providers restrict the purchase of their individual books to candidates already using their courses. Also, the books and test banks of questions from each provider are generally made with the other in mind, so it’s best not to mix and match books from one provider with the online course of another. Not all CPA review books are created equal. Some are exhaustive in length, some skimp on pages and information, but others achieve the perfect balance of thorough content coverage presented in manageable portions. Review books that cut corners with content don’t adequately develop your knowledge, and books that fail to consider efficient formatting leave you burnt out. 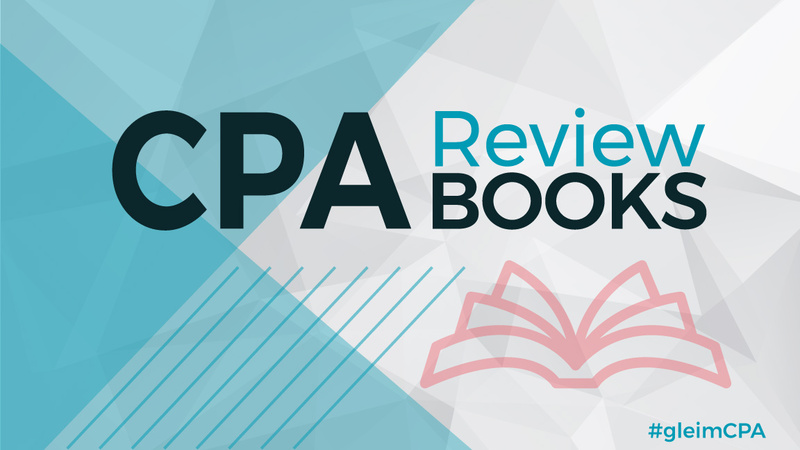 Ideally, your review book should cover all of the CPA Exam content without overwhelming you. That’s where tiered content outlines come in. These outlines contain bite-sized lessons about each exam topic that you can digest easily and steadily. When your CPA review book has quality content outlines, you don’t have to worry about missing any information but can instead concentrate on achieving deep comprehension. The AICPA’s CPA Exam Blueprints detail 600 tasks representing the responsibilities of real CPAs and assign a skill level to each task. The higher levels of skill require answering the “so what” questions: you must explain why something is important or unimportant. You can only reach those skill levels if your CPA review books include comprehensive and easy-to-grasp content coverage and hundreds of high-quality practice questions. Your book should contain a significant number of challenging MCQs. If the amount or difficulty levels of the questions are lacking, you need to find another course provider. Furthermore, your book shouldn’t include task-based simulations (TBSs) or written communication tasks (WCs) because a book can’t replicate the process of answering these questions. You’ll get better acquainted with the exam environment if you answer those types of questions in your online course. However, you can still use the information in your books to reach the skill levels at which the TBSs and WCs will test you. Dr. Irvin Gleim and his wife Darlene penned one of the first CPA review books over 40 years ago, and the Gleim CPA books retain the expert Gleim authorship to this day. Our popular books also feature the same simple yet comprehensive content outlines that have helped accountants pass over one million CPA exams. We’ve used our proven approach and extensive experience to craft thorough outlines explaining exam topics in order to minimize any exam day surprises. Our books have always exemplified our commitment to covering each exam concept, and to prove just how thorough we are, we’ve also created this free CPA Exam guide. Access it today to learn everything you need to know about the CPA Exam.